A total of 123 officers have completed two separate courses on VIP Protection and Firefighting at the Police Training School (PTS) Gishari in Rwamagana District. 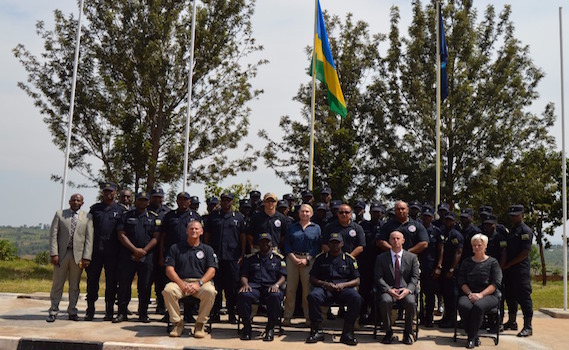 At least 25 of the officers completed a month-long Training of Trainers on VIP Protection, the first of its kind to be conducted by Rwanda National Police. Other 98, who include police officers, prison wardens and those from private security companies completed the two-month training either in Basic Firefighting and Rescue course or Training of Trainers in Basic Firefighting and Rescue. The Deputy Inspector General of Police (DIGP) in charge of Operations, Dan Munyuza, while officiating at the closing of the courses, said that professionalism is largely built on training and discipline. 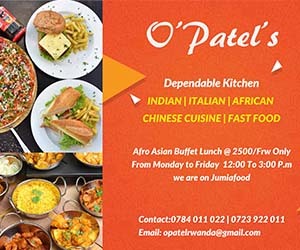 “Skills in VIP protection benefits not only high level diplomats in the country, but also those in other countries where RNP officers get deployed for peacekeeping duties,” said DIGP Munyuza. He commended partners both locally and other countries that support RNP’s skills development in various policing fields. On firefighting courses, the Deputy IGP said that they were conducted at the right moment so as to respond to fire disasters that also come with Rwanda’s rapid development. He commended the existing partnership with Workforce Development Authority (WDA) through capacity building of the officers. The firefighting courses were organised and conducted in partnership with WDA. DIGP Munyuza urged participants to put into action and share the skills they acquired to ensure disasters are responded to collectively, and called for similar courses to be conducted regularly to extend the skills to as many people as possible. The Director General of WDA, Jerome Gasana, who also attended the event, lauded the partnership with RNP in developing skills of Rwandans especially the youth in various professional and vocational fields. “These skilled officers will in the near future help to train many other Rwandans in the field of firefighting. The number is still not enough, but given the good partnership, we hope to achieve the set objectives,” said Gasana. During the one month VIP Protection course, participants covered key practical lessons such as; VIP protection operations, skills at arms, counter-terrorism, surveillance and counter surveillance, and Hand-to-Hand Combat. In firefighting, course participants were taken through fire operation, Rescue Operation, and Fire Chemistry among others. The events were marked with demonstrating skills both in VIP protection and Firefighting. Present was also Commissioner of Police (CP) Vianney Nshimiyimana, the Commandant of PTS, Assistant Commissioner of Police (ACP) Damas Gatare, the Acting Principal of Gishali Integrated Polytechnic as well as Mark Jackson, the Team Leader of the International Police Peace Operation Support (IPPOS).